This catalog is for information only and does not constitute a contract. The college reserves the right to change, modify or alter without notice all fees, charges, tuition, expenses and costs of any kind and further reserves the right to add or delete without notice any course offering or information in this catalog. Visit www.sfcollege.edu for the most up-to-date catalog edition. Santa Fe College’s Board Rule 2.8 and procedure 2.8P define its policy prohibiting discrimination and harassment and its grievance procedures for such complaints. This catalog is a handy reference for information. 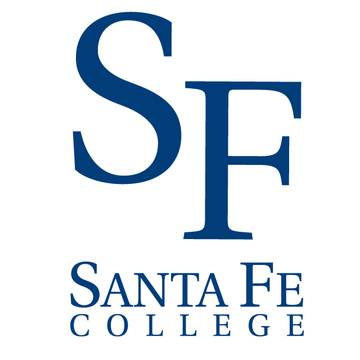 However, please use our website, www.sfcollege.edu, as your central source of information about Santa Fe College. The website’s “A-Z” index will help you navigate easily. Call 352-395-5000 for information about admissions and other issues. We encourage you to visit the Welcome and Admissions Center on the Northwest Campus in Building R, room 101, where you can speak with an advisor, take a campus tour, or complete the admissions process. Santa Fe College is accredited by the Southern Association of Colleges and Schools Commission on Colleges to award associate and baccalaureate degrees. Contact the Commission on Colleges at 1866 Southern Lane, Decatur, Georgia 30033-4097 or call 404-679-4500 for questions about the accreditation of Santa Fe College.